HeyPlantMan! 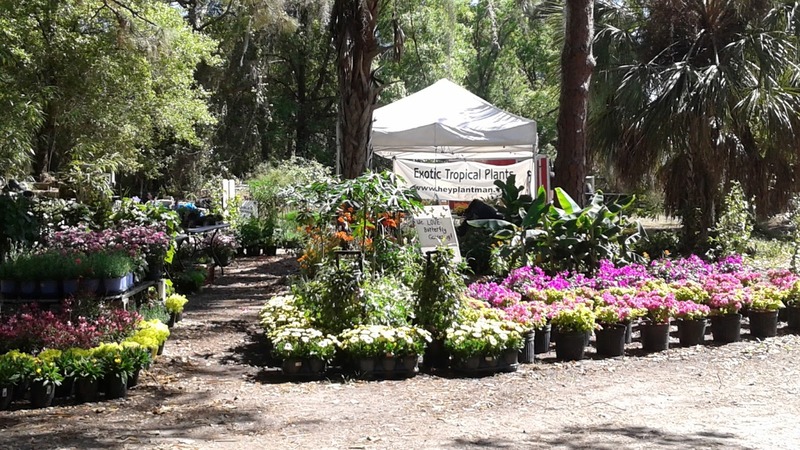 Exotic Tropical Plants from St. Pete FL: We will be at Pierce Street Market this weekend! We will be at Pierce Street Market this weekend! Greetings all, and Happy September ! We hope that you all made it through Tropical Storm Hermine without too much damage to your homes and gardens. 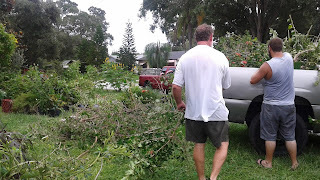 For us, we were luckier than most - we did lose our greenhouse on the nursery property, and our home garden got a good wind kicking, toppling some of our favorite small trees and making a general mess, which we will be in the process of cleaning up all month long. 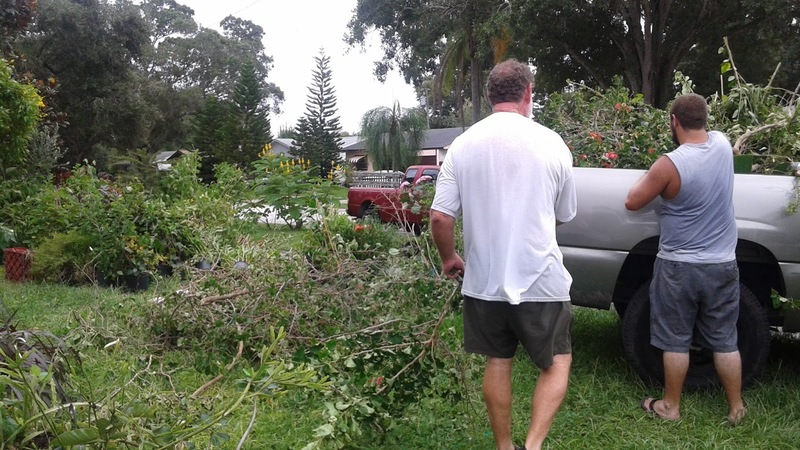 Luckily, our regular helper, Jeremy, was able to come over for a day to help with home garden clean up. We still have a way to go but it's a good time to weed out the old and refresh the new ! We are looking forward to the start of October when the regular Saturday Morning Market season returns, on Sat. Oct. 1st at Al Lang Field Lot, downtown St. Pete. An aerial view of the Sat. Morning Market, downtown St. Pete, taken last season..it's a big one ! Also, that first weekend of October, we will also be set up at one of our favorite places, Tropiflora Nursery, in Sarasota, for their annual Fall Plant Show - All of Tropiflora's nursery stock will be on sale, plus there will be a dozen or more other plant specialty vendors set up around the property. We are grateful that Tropiflora gives us this opportunity to bring our product to you. Check out their website at www.tropiflora.com for more info, plus we will be posting more info about it too in the next coming weeks. I'ts a 3 day show, so you have lots of opportunity to check it out. Pierce Street Market in Clearwater. We can't wait, think it's going to be a lot of fun to be in a new place, and introduce our Unusual plant products to North County customers. If you haven't been to this Market, it is in a gorgeous location on the water and has a great variety of vendors, many with products you don't ordinarily see, so come check it out ! Market hours are 9am-1pm and it's suppose to be a beautiful day!